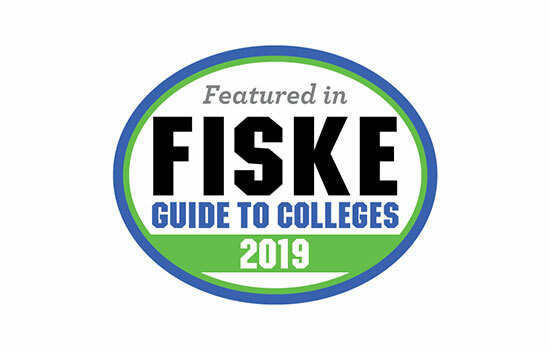 Rochester Institute of Technology is among the universities included in the 2019 edition of Fiske Guide to Colleges. The guide, created 35 years ago by former New York Times education editor Edward B. Fiske, is a selective, subjective and systematic look at more than 300 four-year colleges and universities in the United States, Canada and Great Britain aimed at selecting “the best and most interesting.” There are more than 4,000 colleges and universities in the United States. The guide this year cites RIT’s flexible general education program, which has added more than 80 academic minors within the past few years. “More than 4,300 RIT juniors and seniors each year take one or two terms away from campus for full-time, paid positions that give them practical experiences in their field, key networking opportunities with potential employers and, often, inspired ideas to bring back to campus,” the guide says. RIT also offers 400 student abroad programs in 50 countries, including RIT’s global campuses in Croatia, Kosovo and the United Arab Emirates. The guide cites strong academics across the university’s nine colleges and quotes students on their RIT experience. “We graduate with lots of lab/field/hands-on experience,” said an imaging science major. “Professors have a passion for what they teach, and it shows,” a biology major said. It also mentions that students should have no trouble finding things to do when not in class, with more than 300 student clubs and organizations sponsoring more than 1,300 events each year, and their close proximity to downtown Rochester.